With political, cultural and social revolutions happening on Twitter and Facebook by the day, the arguments for the Internet being the common man’s means of political participation is no more surprising. With everyone (with Internet connectivity and literacy) being able to start a blog (or a microblog) and speak his/ her mind (in most countries), the Internet is the epitome of democracy. If you can see that democracy itself is a system of marginalising the minority, you will see that the Internet is no different. As far back in 1977, Noelle-Neumann argued that “the process of opinion forming and sharing was based on perceptions of popular opinion, and that perceptions of decreasing support for one’s position led to a reduced likelihood in speaking out about the topic”. She called this the spiral of silence. In any public sphere, when one knows that his/ her opinion is not popular, one is more likely to abstain from expressing it. We all, at some point in time or another, left a conversation thinking ‘nobody gets it’ or ‘it’s not worth it’. That is us drowning in the spiral of silence. Though there are published articles to prove that the spiral of silence is far less on the Internet than in real life (like in this research here and this about LGBT communities of colour), I am still not convinced that the Internet is a place where all opinions are accommodated and all issues are supported. I believe that what’s popular is what goes around on social networks. While corruption is a cause that most of the Indian (social networking) population stood up for, something that requires deeper understanding like Maoist movement in the Northeast or AFSPA in Manipur is generally not outraged about. My point here is not the number of people on the Internet writing about marginalised issues, it is about their virality. If more people don’t read and share, the idea of the Internet levelling the opinion high ground is defeated, isn’t it? What’s more worrying is that with the Internet maturing as a platform and more tools of engagement coming along, it is the early adopters or the celebrities (from elsewhere) that get the most number of eyeballs. This, I believe, would lead to further bullying and a wider spiral of silence. Let’s imagine you are the only one who hates Chetan Bhagat and everyone else in the world thinks he is God (let’s just imagine for once), will your voice be heard in the public sphere? With all social networks aiming to milk the most out of people (they are businesses too and this isn’t entirely wrong), it is just not the world’s priority to ensure a level playing ground for (counter) opinions. The rate at which people are adopting social networks across the globe ensures that it is not limited to the elite few. However, the openness of these networks also means that trolls cannot be kept away. Blind following, abusive language, inappropriate responses, and personal attack on content creators are things we cannot avoid. The SOPAs and the PIPAs of the world aren’t much of a support to the open democracy that the Internet is. Most Governments have begun looking at an uncensored Internet as a problem and the fear of being troubled for what you said (and published with a record of it online somewhere) isn’t very encouraging to express opinion. Besides all of this, I believe the responsibility rests with the users of the social networks to be open to opinions and respectful of fellow networkers. Much to ask, that? 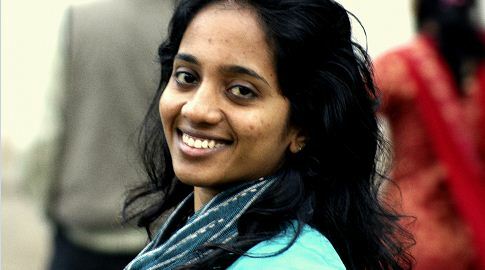 Ranjani Krishnakumar is a Digital Marketeer, who drinks a lot of coffee and fiddles with her pen all the time (apart from all the stressful marketing work that is). She also writes a blog about (Tamil) films at www.tharkuri.in. She can be found as @_tharkuri on Twitter. This entry was posted in Guest Articles, Social CRM, Social Media, Uncategorized. Bookmark the permalink.